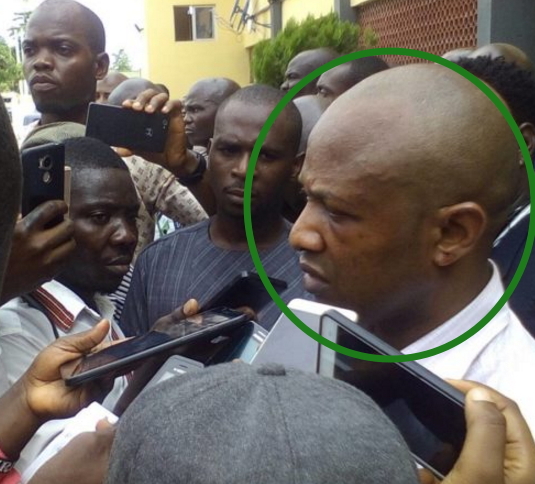 Evans, the billionaire kidnapper who launched out after returning from Cape Town South Africa back in 2007 has been finally arrested. On his return, Evans joined the gang headed by Chyna, a Warri kidnap and armed robbery kingpin, who masterminded the abduction of billionaires, including Uyi Technical, Dan Odete, Josephine Anenih, Tomline and Young Shall Grow Motors founder Chief Vincent Obianodo, whose attempted kidnap led to the death of Chyna and two other gang members. Evans established his gang, whose members neither knew his house nor his telephone number. His reign of terror saw landlords in Festac Town, Amuwo Odofin on the outskirts of Lagos abandoning their homes and relocating to the island for fear of being targetted. Evans led the gang to kidnap 53-year-old Mbarikatta Uboma around 11am on June 16, 2012, while the victim, who arrived from Hungary, was being driven to his residence in a Toyota Camry, 2010 model by his brother. Evans’ gang, driving a Passat car, was said to have double crossed them, blindfolded Mbarikatta and whisked him away. Initially, they demanded N10million but settled for N2million after keeping the victim for three days. They collected Uboma’s personal effects before dropping him at Okota. Director, Ocean Glory Commodities, Apapa, Paul Cole, 34, from Ohafia in Abia State was kidnapped on August 3, 2012, at Festac Town together with the firm’s General Manager, Jude Ugoje and a worker, Piriye Gogo. They were taken to an unknown destination by members of Evans’ gang and were released on August 6 after N5million ransom was paid to the gang around Maza-maza on the outskirts of Lagos. A Lebanese, Mohammed Jamal, 22, fell victim to the gang on August 19, 2012 at Ajah. He was blindfolded and whisked away by three armed men. He was released after N7million was collected at Ojo Barracks. Kingsley Nwokenta, 34, was kidnapped September 19, 2012, at Mile Two Under bridge, after he left Lebanana Bar in Festac. He paid N1.5million ransom. The gang took his black Toyota Venza and other things. Anthony Ozoanidobi, 41, was kidnapped on October 10, 2012, on Marwa Road, Satellite Town. He paid N1.5million and was dropped at Apple Junction, Amuwo-Odofin. Leo Abraham, 58, was kidnapped on August 20, 2012. He secured his release after paying N5million. He was later dropped on Badagry Road, Lagos. Aspanda, Trade Fair businessman Cosmas Ojukwu, 45, was kidnapped January 21, last year at Festac Town. The amount and manner of his release remain unclear. Chief James Uduji was picked up close to his Seventh Avenue, Festac Town residence. He was detained for six weeks. The gang collected $1million. Chief Raymond Okoye was kidnapped in 2015 and was detained for two months until his relatives raised $1million. A trader, Uche Okoroafor, was whisked away in 2015 and held captive for three months until his family paid $1million. Another businessman, Elias Ukachukwu, was kidnapped in November 2015. He paid $1million. But the kidnappers refused to release him after collecting the initial ransom. They demanded another $1million on grounds that the victim’s relatives were rude to them. Ukachukwu stayed in their den for several months and it is unclear how and when he regained freedom. Francis Umeh, an Aspanda auto parts dealer, was kidnapped in July 2016 at Raji Rasaki Estate, Ago Palace Way, Okota. He spent two months in the kidnappers’ den and paid an undisclosed amount of dollars. Evans and his gang met their waterloo with the kidnap of billionaire pharmacist Innocent Duru, who they wanted to kill after collecting a ransom. The victim was with the kidnappers at 21, Prophet Asaye Close, New Igando in Lagos for over five months. He eventually escaped and gave the police the information which led to the busting of the gang. Evans who is currently in police detention hails from Nnewi, the second largest city in Anambra state. After making one million dollars, you would have at least repented and do a legitimate business, am not also righteous to judge you but face law of the country. This is why Nigerian must allow Biafrans to go. After collecting all dis ransoms u keep on ur dirty job useless man God don catch u today bye bye to hell fire. Why disclose the identity of the man that gave police information that led to his arrest. Do you people want him killed? Anybody who planted evil in this world will surely reap the same in hundred folds including his children and his family. This guy unleashed terror against another man’s children and moved his own family to Canada because he knew they will be protected and safe. The Nigerian government must extradite his wife and his children back to Nigeria and force them to witness their father’s public execution. That will slow the rate of aggravated crime in our society. Treating a case like this with kid’s glove will attract more criminals. Anini was the last Armed Robber who was publicly executed along side with his gang members. That was because the military were in power then. As I have always been saying we need a little bit of martial law to strengthen our lawlessness in this Country. May God punish you and let you die of Cancer as you have pronounced it from your mouth. I can’t just imagine what his victim went through under his captive. Igbo’s are disgracing Nigerians everywhere. let us allow Biafra n free from this *****people. kidnapping, cocaine pusher, fake money,they live beyond their standard they are all ***** n live a fake life.